I can't believe it myself... when I look back at all the furniture I've updated I'm amazed myself. When did I have time to go to work? 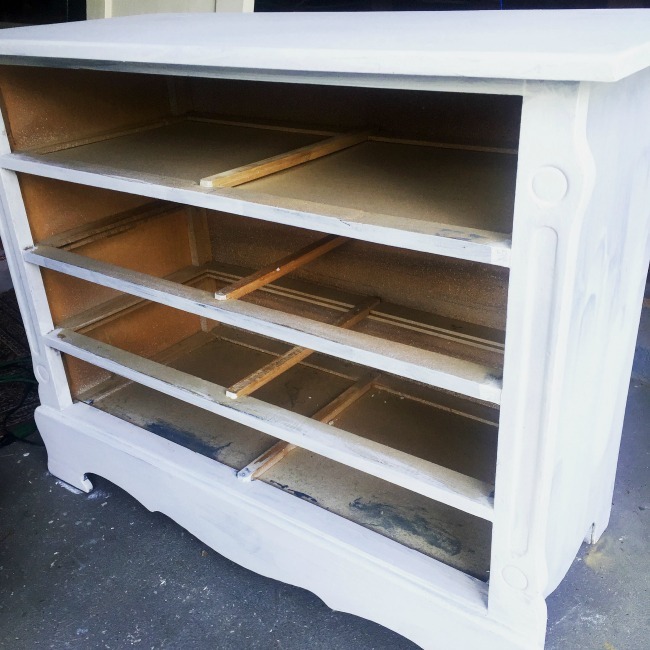 Believe it or not, these projects are only a few of the many, many pieces of furniture I've updated. 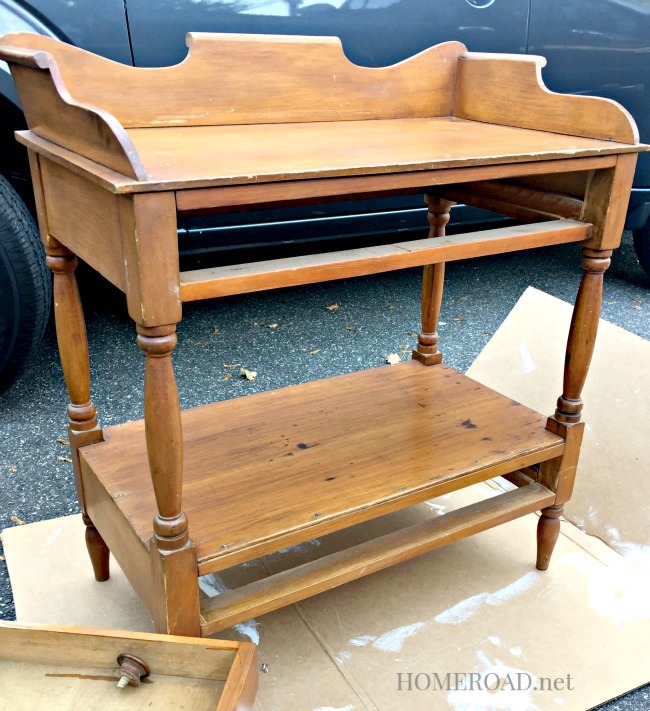 If you click on the black furniture tab on the black bar at the very top of this page, you will find links to even more furniture projects I've done throughout the years at Homeroad. 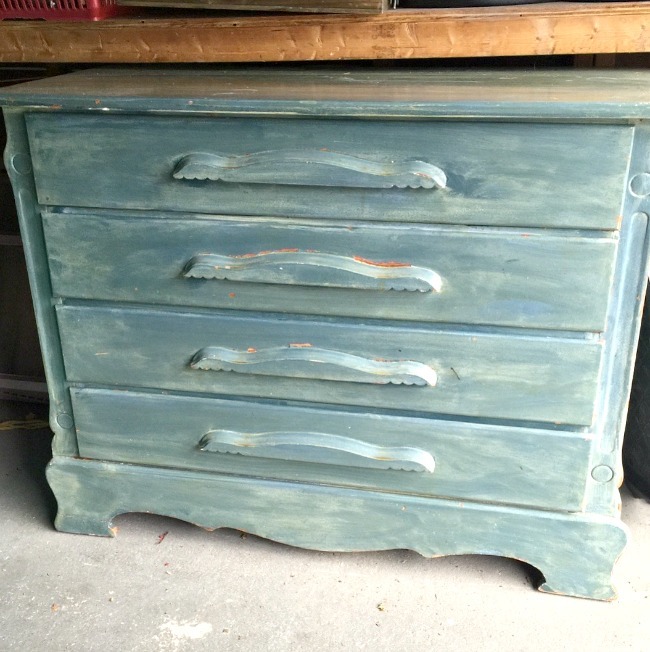 Each of the projects today were either found on the side of the road, bought for pennies, or given to me by friends and family. 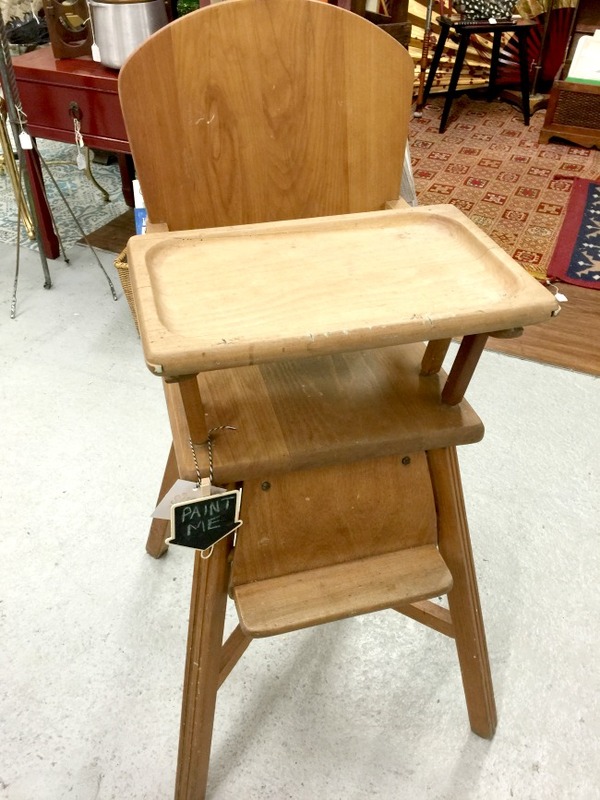 Vintage Highchair. 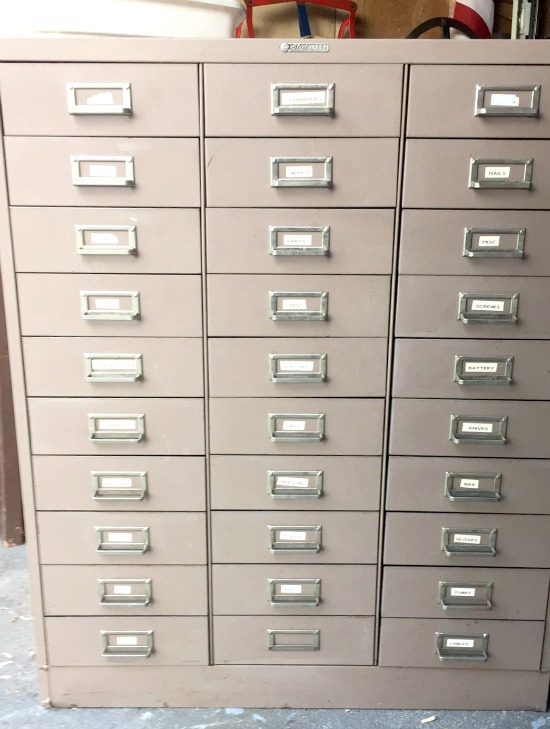 See the tutorial here..
Metal File Cabinet. See the tutorial here. 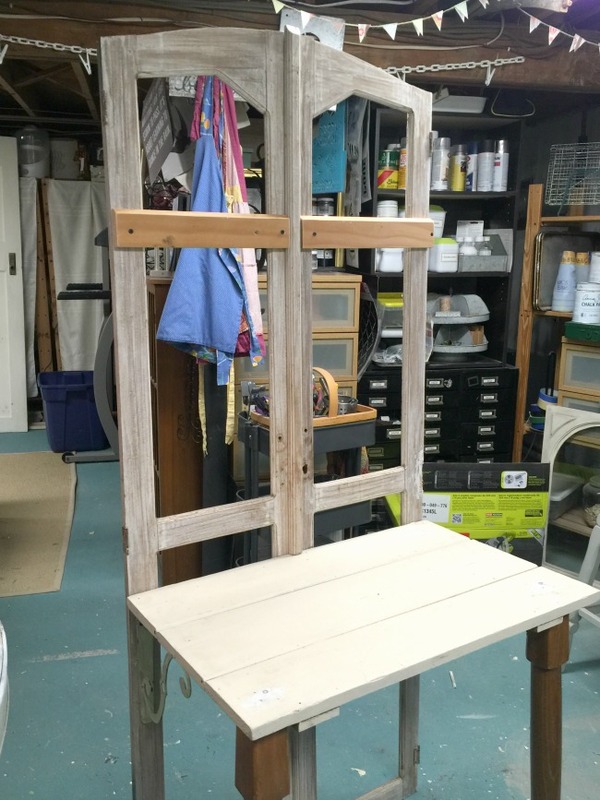 Armoire Door Potting Bench. See the tutorial here. 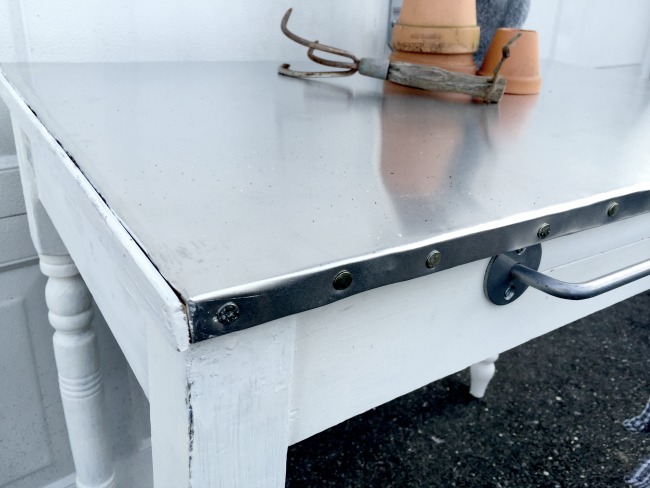 Metal Top Table. See the tutorial here. Antique Church Table.See the tutorial here. 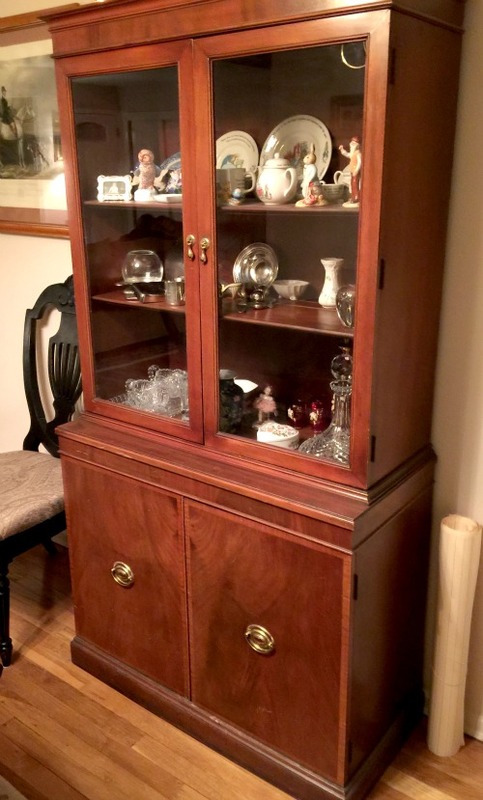 My Friend's Hutch Project. See the tutorial here. Metallic Server. See the tutorial here. 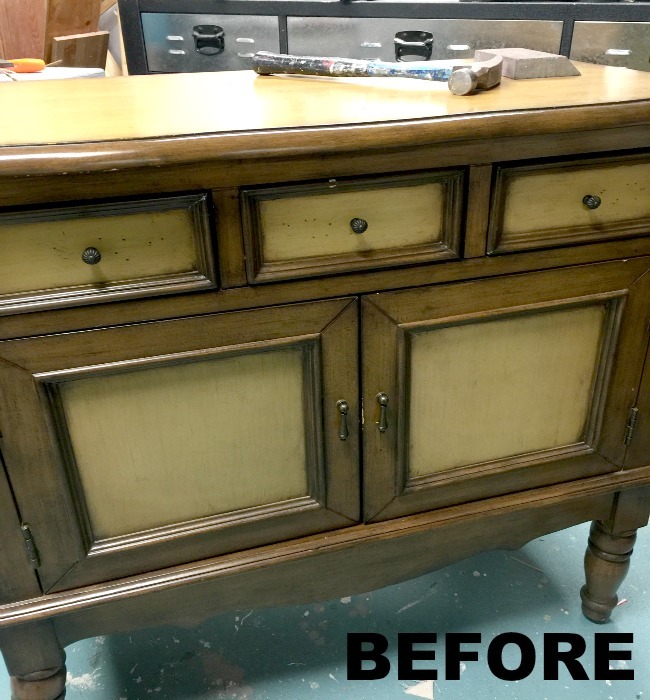 For more Homeroad furniture projects please click the furniture tab in the black bar at the top of this page.